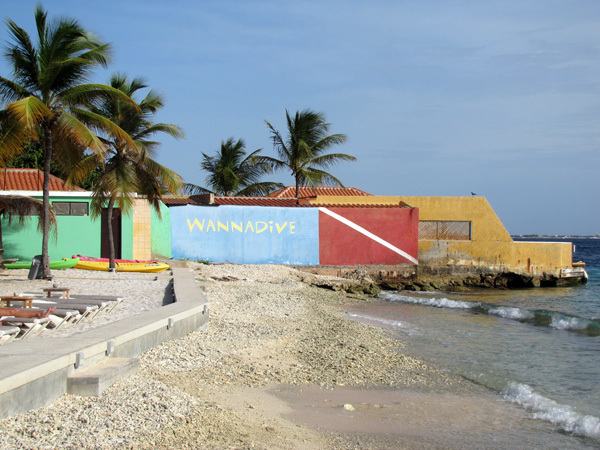 vagablonding » Blog Archive » Bonaire! Traveling again, FINALLY! 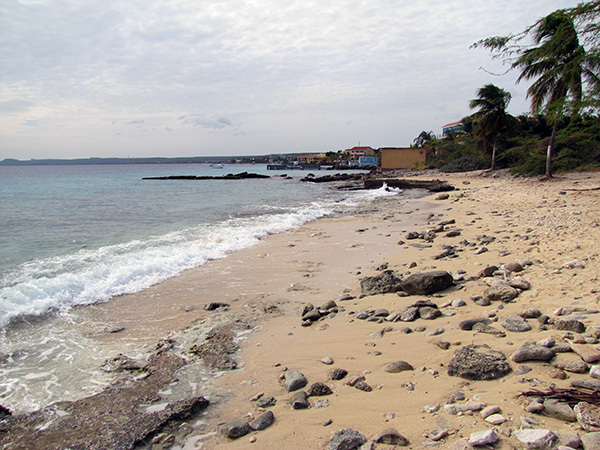 I’m in Bonaire, a small island off the northern coast of Venezuela, with my mom and sister. 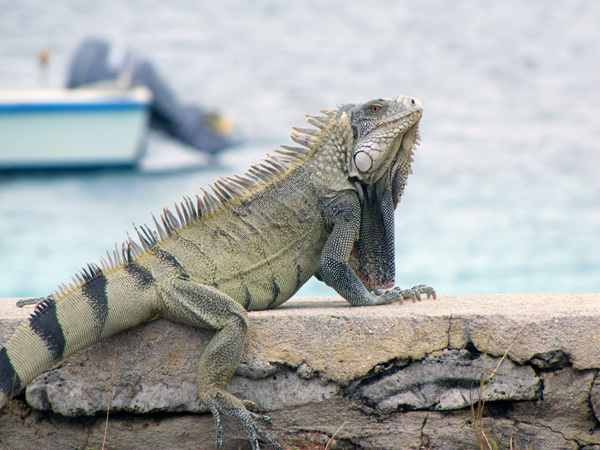 Bonaire is the B in the ABC islands (Aruba, Bonaire, Curacao) and is known for its fantastic diving. We arrived at the Flamingo Airport at 5:30 on Sunday morning, and all I remember is that I had the hiccups so bad people wouldn’t stop saying “boo” to me. Look, I was just thirsty! Thankfully the island has a desalination system that provides excellent drinking water, so no need to bring water purification systems or buy bottled water if you’re visiting. We’re staying at Villa Makoshi, one of the seven brightly painted homes in the Perla Boneriano complex. The houses are clustered around a pool with sun chairs and short palm trees with the ocean just a 3 minute walk away. Only one other home is occupied right now, so we pretty much have the place to ourselves! We’re renting the lower level of the villa, which has two bedrooms with fans and air conditioners; a full kitchen; three bathrooms; a huge living room and dining room with couches, tables, chairs and a tv; a laundry room and a lovely shaded patio. It’s incredibly nice and costs $1174 per week (low season price). It is very warm, mostly sunny, and quite windy here, making the air temperature perfect. The wildlife is abundant and photogenic! 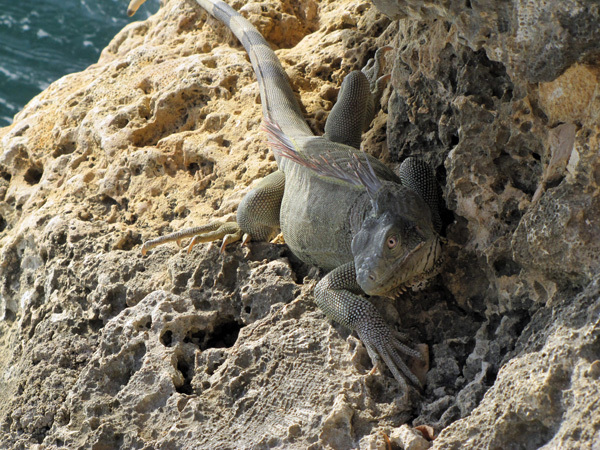 These 3 foot long iguanas posed for me. I also had a photoshoot with some funny birds, look for those pics in the next post! 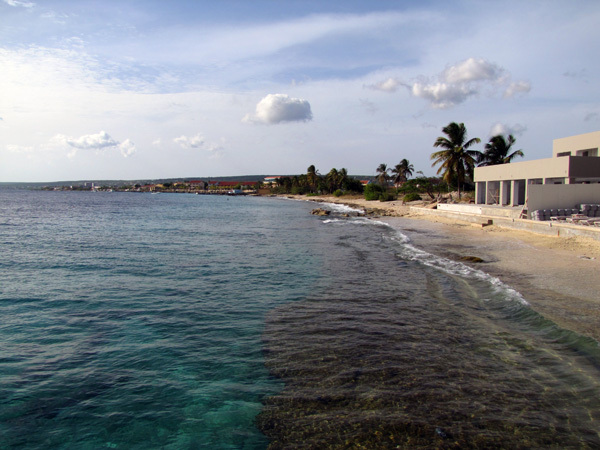 This entry was posted on Tuesday, June 19th, 2012 at 7:33 am	and is filed under Bonaire. You can follow any responses to this entry through the RSS 2.0 feed. You can leave a response, or trackback from your own site. Hello from Sandeep. Yes would like to see bird photo shoot yes, and make picture of ocean water life yes. Hello. This is Sandeep.